Check out great social trading platform! Read more at FXStat review here! FXStat is an FCA regulated social trading platform that has been offering its services since 2010. FXStat has headquarters in London with international offices in such countries as Saudi Arabia, Jordan and Russia. Before you start setting up your account, you first have to fill up short registration form at FXStat. 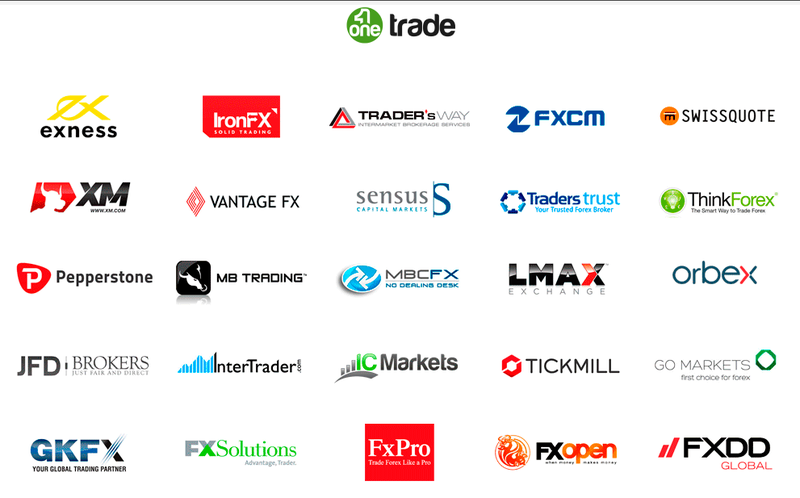 Afterwards you will need to pick one of the third-party brokers that FXStat platform supports. The account must be connected to the MT4 bridge and you will be able to download it directly from the account setup page. Moreover, FXStat social trading platform is integrated with OneTrade FX broker which means that you would no longer need a bridge. Currency at which you can open the account depends on the broker, just as well as the minimum investment amount. However, we managed to discover that this requirement is $100 at OneTrade. There are several ways to open an FXStat demo account. You can either do that at your broker or register OneTrade demo from FXStat interface. Note that multiple OneTrade demo accounts can be opened at FXStat. Additionally, FXStat supports MetaTrader 4 introduced by any broker, which is particularly important if your broker is not yet presented at FXStat copy trade. If you wish to get information about spreads, we recommended you to contact your brokerage firm as soon as possible. Generally, average spread for EUR/USD is 3 pips. Using the website services is free, meaning that no FXStat fees are charged. Nonetheless, beside the spread there is a commission of $10 per traded lot that brokers would require you to pay. In pips this commission equals about 1 pip. As for the system of trader’s compensation, signal providers are awarded with 50% of commission. 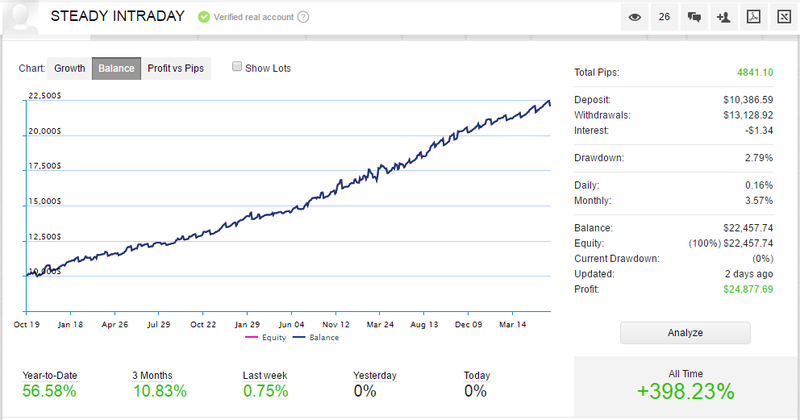 Unfortunately, successful performance and approach to risk management do not bring traders any extra profits at FXStat. FXStat social trade is primarily focused on introducing trading capabilities through MT4 platform. As we have already mentioned, traders use MT4 Bridge to connect their performance to FXStat. 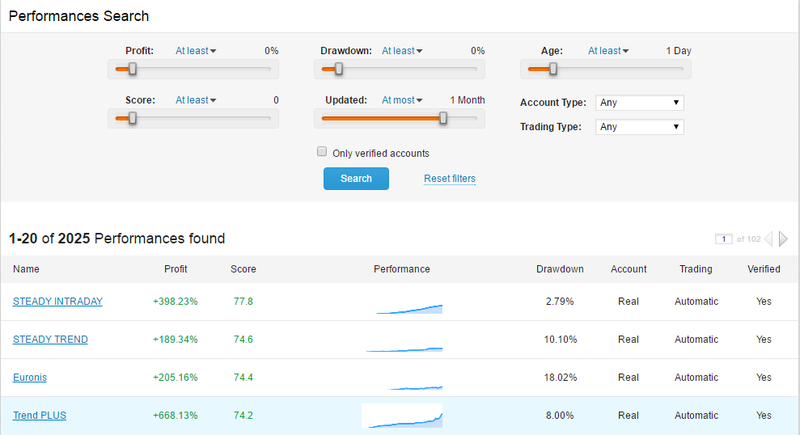 The performance page is updated in real-time, thus one can monitor the positions without a need to refresh the page. This requires installing the software, although there is an alternative – OneTrade Web Trading MT4. In addition, with OneTrade web platform you do not need to create your performance page manually, install EAs or use MT4 publisher as you would do using vanilla MT4. Everything is done automatically, which is rather good. You should take into consideration that from the FXStat platform interface you can open only demo accounts for OneTrade. Even though FXStat copy trading is mostly manual, you can access automated trade copying at all partnership brokers. 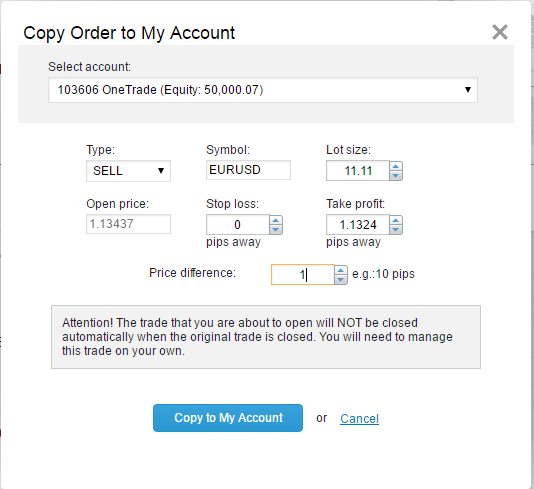 To use AutoTrading service you have to create a live account at your broker, e.g. at OneTrade. Unfortunately, automated trade copying is not allowed via demo accounts. If you wish to copy a trader at FXStat, you have to click on “Performances” tab on the interface. Total number of performances to follow is 9215, however note that there are many non-active or unsuccessful traders which are also included in the list. For some reasons, there is no strategy turnover at FXStat. Strategies at FXStat social trading are copied as Connections. This means that every user can establish the whole network of traders who are sharing their open positions with each other. You can add the strategy by clicking on “Add as Connection” at the trader’s profile. Consequently, the trader’s performance would be copied into your MT4 platform. Our FXStat review discovered that traders are allowed to set privacy settings, which means that they do not have to share all the information about their performance. In fact, most of them still do that. It is possible to observe the real account balance of traders and their equity growth too. Additionally, FXStat investment network allows strategy subscribers to see all the open trades and orders, including full trading history as well. However, this still depends on whether the trader would be eager to share such info. If yes, you will be able to export the history of trades to Excel for your own purposes. Furthermore, you can also view data about: Probability of Loss, Risk/Reward (%) vs Mean. If you need more graphs for analysis, you can take a look at Return Trend or Profit vs Duration. Perhaps the advantage of copying trades via desktop MT4 platform would be the advanced arsenal of tools that mitigate the risks and establish proper money management. We do not need to tell you how flexible is MetaTrader 4 in terms of platform customization. If your goal is to become a signal provider at FXStat, you will have to pass FXStat quality check. The traders’ prerequisites include 90 days of trading assessment and also due dilligence on trading style, so that no significant information remains unrevealed. However, for us and many FXStat reviews it is still questionable whether FXStat continues to monitor the performance of traders after they were allowed for the platform. The problem is that we have not seen any serious strategy replacement when observing this social network for some months. So how exactly you can send your signals? Well, since it is more or less clear that all your performance is linked to FXStat thanks to MT4 bridge and investors can ask you for “Connection”, things go a bit different way on Web Trading platform. Whenever you open a position it will be displayed on the trading activity stream. You can directly set lot size, Stop Loss/Take Profit and maximum deviation pips – to avoid considerable slippage. It is possible to modify Stop Loss and Take Profit levels in ongoing trades. In our opinion, you would never call FXStat scam just because of its stunning social interaction features. All users are able to create their social profile called “FXStat Page”. There traders can share the information about themselves, including experience and skills/interests. Users can also create their own blogs and send private messages. 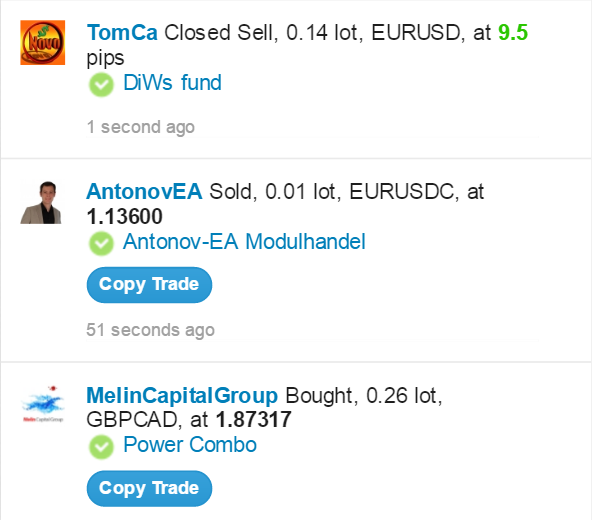 By utilizing activity stream, you can comment traders and “like” their posts. 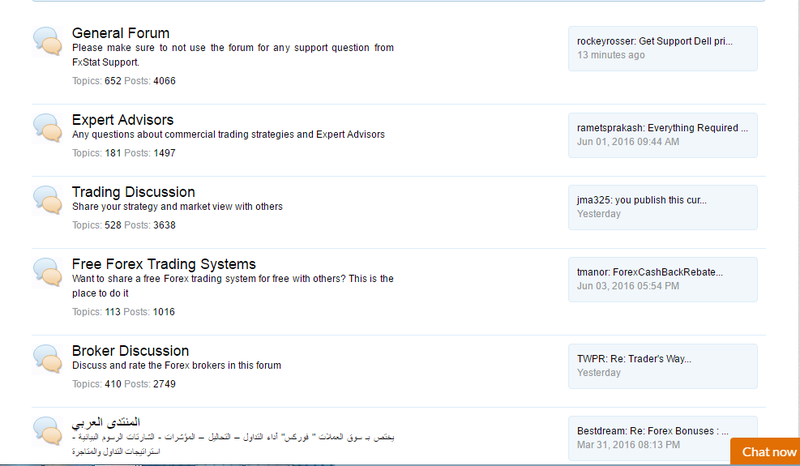 Additionally, there are a lot of forums available at this platform, where users can express their FXStat opinions and even more. Although there is no Facebook or Twitter integration at the account setup stage, FXStat enables users to publish their trades on these social networks. This is definitely a cutting edge feature of FXStat. Since for novices the excess of information about platforms and trading can be confusing, FXStat offers an extensive scope of educational materials such as video guides, glossary and FAQ. There traders can get best tips for FXStat social platform. Moreover, some video guides are in Spanish which might be great for the native speakers. Generally, the website operates in 13 languages. If you need to reach client support, you can do that using live chat and email. Support agents are quite resourceful to deal with any FXStat complaints. They instantly reply by live chat, though by email it takes a couple of hours. We advise you to check the withdrawal policy of your broker, because you might be charged for making withdrawals. Additionally, in “Payments” section you can see your current account balance, where you can view all history of transactions as well as pending or rejected payments.